A world class business leader always knows the importance of his workforce. Employees are essential to the operations of a business and this is why communicating with them is important. 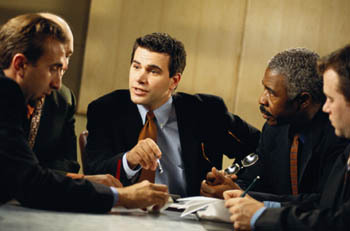 In large organizations it is often very difficult to maintain personal relations with an employee. This is not something that will help the business in the long run and must be dealt with purposefully. SMS marketing is one such tool that facilitates communication between the business and its employees. Previously no reliable medium was available for internal business communication but now text marketing is here to solve your issues. Let’s discuss the benefits of SMS marketing as a tool for communication. SMS marketing is very simple yet effective. You can just send out one message to all the employees instead of putting up a notice in the break room where it may go unnoticed. Since the message is delivered directly to the employee’s phone there is no chance that he will miss it. The 160 characters limit also ensures that messages are kept short and concise. Experts believe that this is one of the best mediums of communication in the modern era. SMS marketing is incredibly fast and reliable. Unlike other mediums text messages are delivered instantly and according to statistics read within the first five minutes. So whenever an important announcement has to be made regarding a company event or meeting you could use this service to inform the employees. Emails often go unchecked for days. This however is not the case with text marketing. Instead of gathering people to make announcements you could simply send out text messages. This will save a lot of time and also increase productivity. Employees will spend more time working rather than sitting in conference rooms listening to announcements. SMS marketing allows you to communicate on a more personal level. This will help build strong relationships with employees. This will help the business retain employees in the future and grow further in the industry. Businesses from almost every industry are using SMS marketing these days. This medium of communication has become the preferred choice because of its wide scale benefits. There is no denying that the future of mobile marketing is bright and all those businesses using it currently are likely to become industry leaders tomorrow. Not only is SMS marketing a good choice for internal communication with employees but also a great tool for external communication with customers. What We Can Learn from the Papa John’s SMS Marketing Lawsuit?